Some days I just want to pull my hair out. Have you been there? Sure you have. We all have. I'm just tired that all I want to do is lay down and do nothing. I'm so stressed that I just want to scream. Or I'm so hurt that I just want to cry. And yes, those things might offer a moment of release. But that's just it, a moment. Jesus, however, tells to fix our eyes on Him. grow weary and lost heart. When we look to Him and keep our focus on Him, we have peace that passes all understanding. We know that He is in control and we can live a life of worship, in spite of all we are facing. 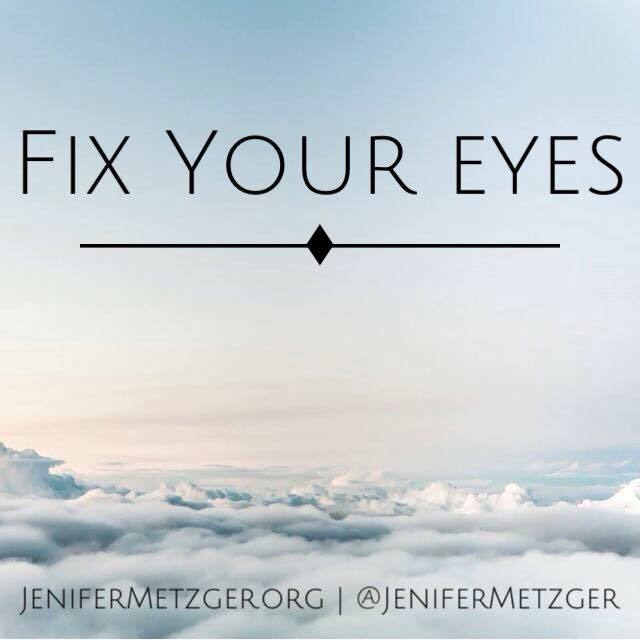 No matter what is before you today, fix your eyes on Jesus. Say & Pray Bible has Bible stories in which objects are labeled. This method is great for teaching little ones the names of things. Each devotion has a short encouragement and Bible verse along with the named illustrations. To enter to win Say & Pray Bible, complete each task in the rafflecopter below. Hi Jennifer! 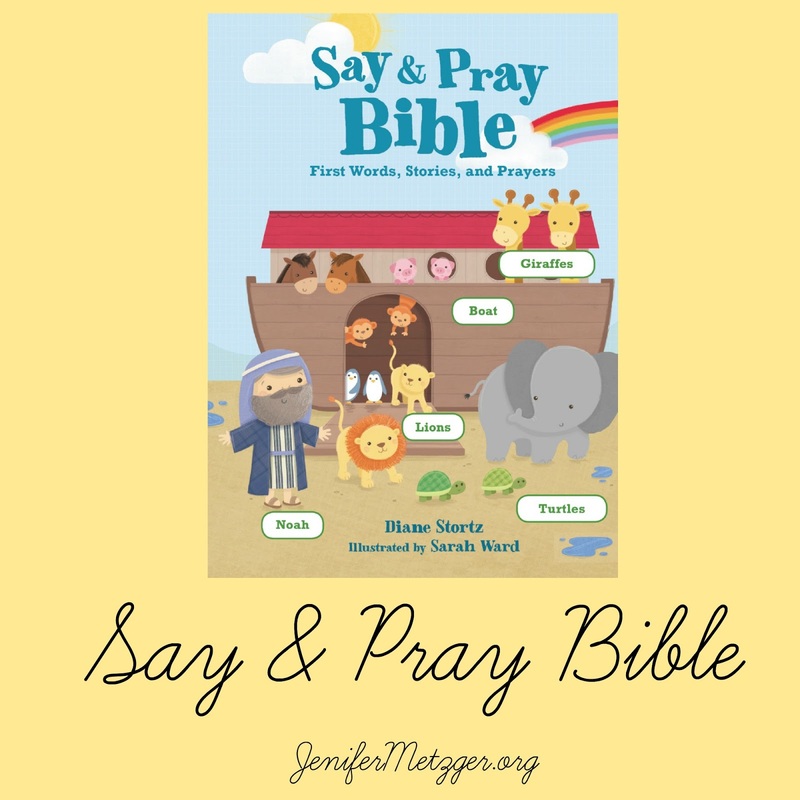 Thanks so much for featuring Say & Pray Bible on your blog! (Agree with you too about who we need to focus our eyes and thoughts on, no matter what the circumstance!